“The Islamic Republic’s ultimate objective is different,” Hayden explained. 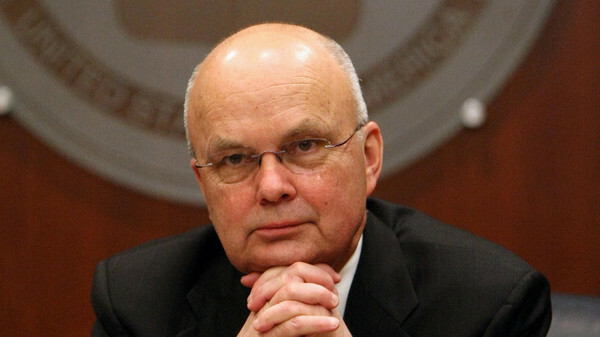 Former CIA chief Michael Hayden said Tuesday he was “uncomfortable” with Iran’s growing influence in Iraq, made especially evident by an offensive in Tikrit. The city, which is the home town of former president Saddam Hussein, is the target of as assault led by Iraqi troops and Shiite militias backed by Tehran. “I am made uncomfortable by the growing Iranian influence in Iraq. I am made uncomfortable by the fact that it looked like a Shia advance against a Sunni town,” said Hayden, who headed the Central Intelligence Agency between 2006 and 2009. “And the proof would be what happens if and when they retake Tikrit … How the militias act toward the local population,” he added, during a roundtable on international intelligence sharing at the New America Foundation. Hayden said the United States should not be sharing intelligence with the Iranians on Iraq, despite their shared desire to wipe out the Islamic State of Iraq and Syria (ISIS). “The Islamic Republic’s ultimate objective is different,” he explained. “We are looking for an inclusive government with minority rights and the participation of all the major religious and ethnic groups. “It’s clear to me that the Iranian policy is based upon Shia dominance of the new Iraqi state, and that effort in itself feeds the Sunni opposition, which ISIL [ISIS] then lives off of to resurrect their movement,” Hayden added, using an alternative acronym for ISIS. Some 30,000 men have been involved in a week-old operation to recapture Tikrit, one of the ISIS fighters’ main hubs since they overran large parts of Iraq nine months ago.